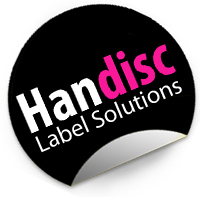 www.handisc-labels.co.uk is the new site from Handisc that is designed to be more specific for label users. We’ll be supplying label printers including support and servicing options. We’ll also be able to supply replacement Inks and blank label stock. Handisc are now approved suppliers and service agents for both Afinia and Primera Label Printers so get in touch today and see how we can save you money and time when it comes to label printing.